There is a difference between a nerd and a geek. A big difference. How big, I never quite knew until I read this post on Urban Dictionary. Me as Russell and my dog Luke as Dug – my wife, Cassie, bless her heart made this costume for me. “Nerd: A person who gains pleasure from amassing large quantities of knowledge about subjects often too detailed or complicated for most other people to be bothered with. Given that premise, I am a Disney nerd. You’d never know it unless you caught a glimpse of my watch up close and noticed the Mickey Mouse on it. You couldn’t tell unless you surreptitiously were able to sneak a glance at my iPhone and saw the “I Like Disneyland” background. 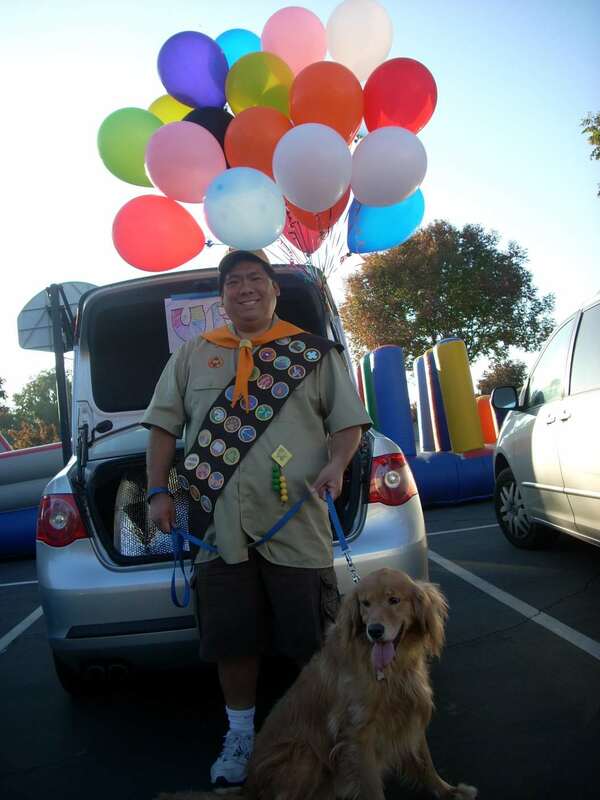 You wouldn’t be able to identify me unless you caught me at D23 Expo or Mickey’s Halloween Party dressed up as Russell. No, indeed. But there it is nonetheless. I have a passion for Disney and especially Disney Theme Parks that borders on something more than just “like.” We nerds are proud but cautious. Especially that rare brand – the Disney Nerd! I have a lot of blogs. About 11, to be exact. And I like asking those who I think are really good at blogging about something I blog about tips on blogging on that topic. And you’re really good at blogging about Disney, so I was wondering if you could give me tips on blogging about Disney. Also, do you really think you’re a nerd? Just wondering. I AM a nerd and quite proud of it. There is so much to blog about with Disney and so many blogs out there, I would suggest simply finding your niche and working it. My passion is to find the best Disney has to offer and share that with everyone. For the most part I avoid doing negative reviews – not because I’m worried what others might think but because my goal is to share the best not the worst. Focus on the things you love and then look for those who share your passion. Best to you! I have also created a Disney Descendants blog. Since you have blogged a couple of times about Disney Descendants, I decided to show it to you. I’m sorry, the link didn’t work, here the right link.